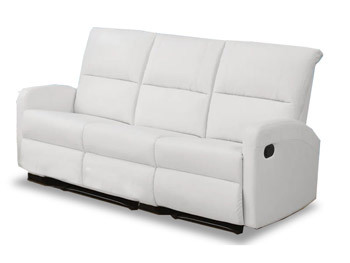 The left and right reclining chairs joined together with a middle arm less non reclining chair creates a 3 seater sofa! 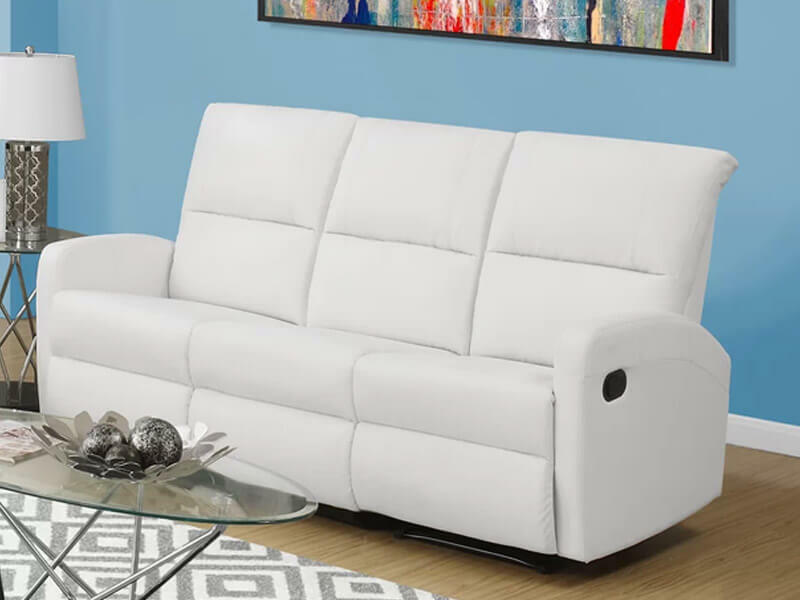 Upholstered in red bonded leather with a generously padded head rest, excellent lumbar support and reclining mechanism, this will be the perfect addition to any entertainment area. The contoured seat and back give this set a comfortable yet modern look that is sure to enhance your living space. Ideal for movie night, reading a book or just to kick back and relax after a long day’s work, this modular motion series was designed for ultimate comfort.